My 5 Favourite Ways To Deal With Stress! For me, as it may be for some of you, I find it extremely difficult to cope with the pressure of exams and work. I have so much going on at the moment and with added pressure of exams I've ended up becoming very stressed. Although I have now finished 2 GCSEs, I still have all my other major exams to go. Eeek!! 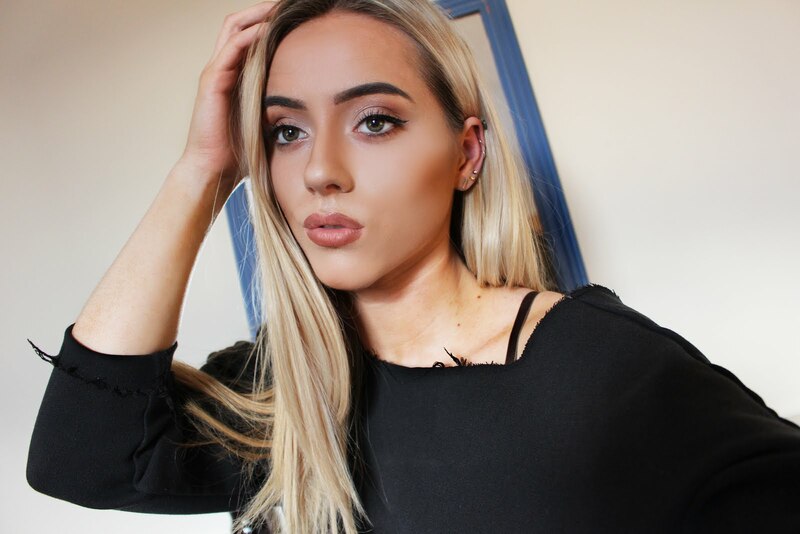 So I have been looking into ways to cope with stress and I am going to share them with you, as I found some really interesting and, as these have helped me, they could help you too! I love this one because I love to be positive for the most part. It makes a lot of problems a lot easier to deal with and helps me to look on bad things and see how they could be turned into something good.On an especially bad day (or every day if you find this works for you), a way to relieve yourself from stress is to write a list of all the good things that happened on that day. This is supposed to start to change your outlook on life a bit and embrace the bad things whilst tackling them with a positive attitude. 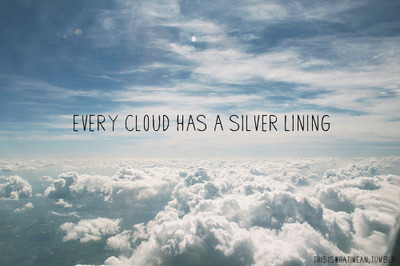 Just remember, every cloud has a silver lining! 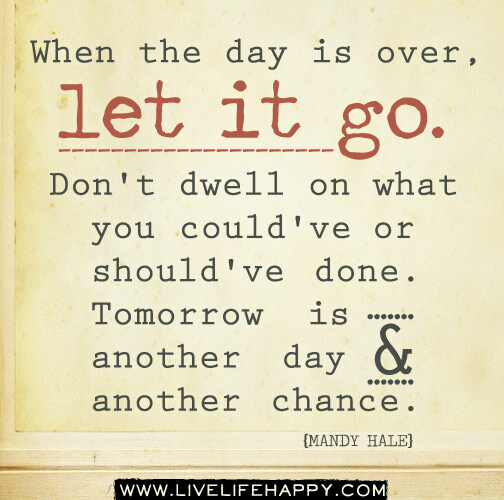 This is a simple tip for relieving stress; talk about it. 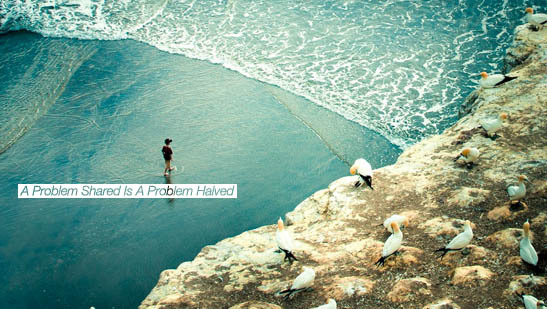 However big or small the problem is, someone you know will be willing to listen. One thing I would definitely advise would be to share your problems with at least one person you trust. It doesn't even have to be your closest friend, but someone that could listen and just prevent you from worrying about it all the time. 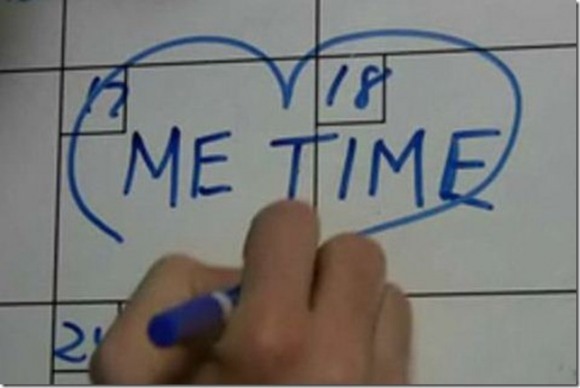 Although you may be someone who always thinks of others first, everybody needs 'Me Time'. At least once a week give yourself a couple of hours off from revision, work and errands and relax. Taking time out to do what you want to do will create a gap between other people's lives and yours; making you the priority means you can have time to reflect on how you are feeling. Sometimes you need to remind yourself that you are important too! 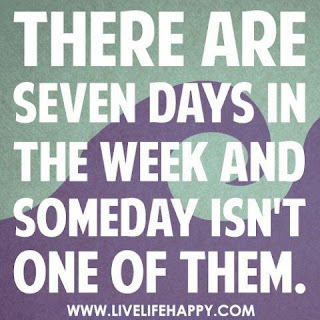 I think this one really helps me personally as I find it hard to recollect how much I have achieved in the day and what I still need to complete during the week. It also helps you to clear your mind of what you have to do the next day, making sleeping easier as you are not worrying about it. The process is basically drawing these worries out of your mind and onto paper. Write down all the things you are worrying about and what you want to achieve the next day onto a piece of paper. 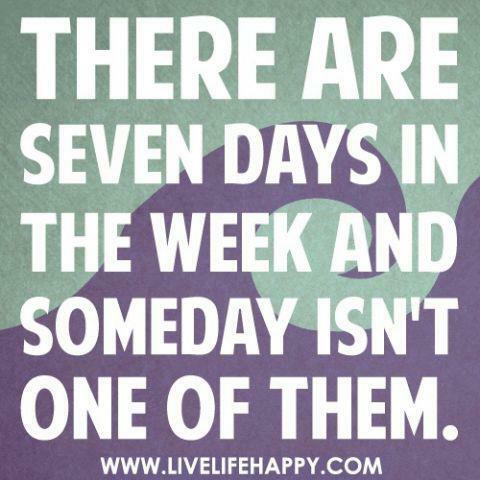 At the end of the next day, you can see how much you have achieved. Creating a routine of this will also be helpful as it stops the problems building up! 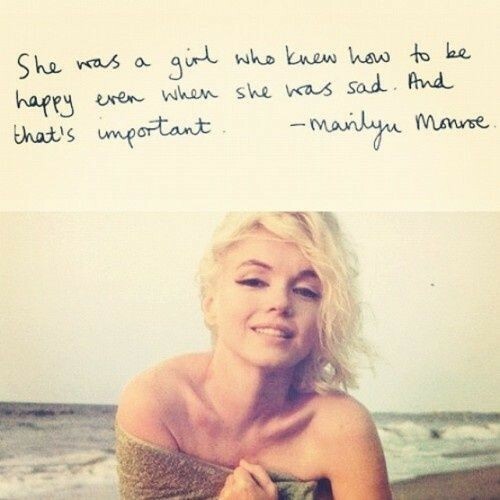 This is one of the most important of my list, along with being one of my favourites! Having a good sleeping pattern is so important to coping with stress, especially in the exam period. I've started to set up a routine giving myself a couple of hours before going to bed to get ready and relaxed, then wake up at a reasonable time. Personally, I prefer to wake up earlier so I feel as though I haven't wasted a day, but whatever fits for you is best as it needs to be a routine that you're comfortable with. Today was a beautiful, sunny day, so I decided to go out and take some photos of urbanised 60's inspired outfits I put together. Hope you enjoy! I based this look on the teenage American style in the 60's. Everything was so glamorous and structured. The Tee Dress was a big style, along with cropped tops with skater style skirts or midis. I used the cropped Denim top to add some edge to the look and the converse made the look more modern. For my makeup, I took inspiration from 'Valley of The Dolls' a film released in 1969. It is soft and natural with the focus on the eyes. I used white eye shadow for the base and added a brown line in the crease of my eye. I then joined this line with the brown eye liner on the lash line. I love this look as many models wore it in the 60s, such as Twiggy. I absolutely love this outfit as its using more the shapes of the 60's rather than the exact styles. 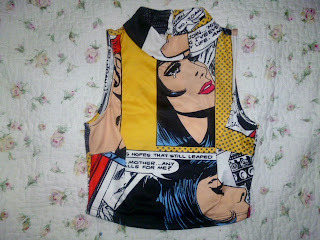 However it also mixes the 60's art culture in the outfit with the crop top being a tribute to Roy Lichtenstein artwork. I really love the shape of this crop top and I featured it in my April Favourites post. I am a big fan of Litchenstein's work and the top is such a nice shape, especially with the high neck. I kept the rest of the look simple as I really like the statement of the crop top. One of the rules of the Sixties trend is that it's all about the crop; to make it work you can either bare your legs or your midriff not both! So, I chose Miss Selfridge Black Ultra Soft Jean these are amazing. They really are 'ultra soft' and are so comfy and easy to get on an off (perfect for a party night!) They are £36.00 which I think is a very reasonable price considering the quality. To complete this look, I went for a heel, as it kind of added to the figure. High heels and skinny jeans are a perfect look. Having to fund raise for my trip in the summer has meant that I haven't been able to spend much money for a while. So far I've only brought a couple of items instead of saving. However, two days ago I went to London and I had to try out a few new things! So here are my Favourite Fashion and Beauty Buys of April 2013! I love statement clothing but I love my basics too. I brought this 'Black Boyfriend Tee'. It cost only £3.50 which is a good cost for an essential. Its very soft and cosy. 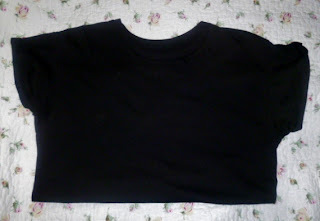 I brought this one to be an oversized tshirt however, I had no time to try it on and despite it being 2 sizes up from my usual size, it wasn't very oversized. 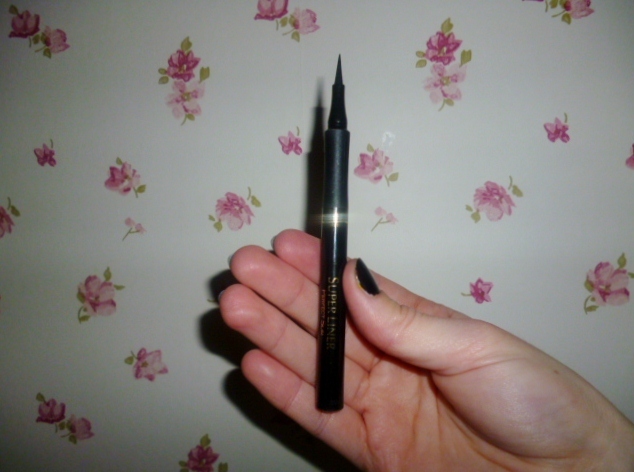 I do love it though as black is such an easy colour to pair things with and is one of my every day essentials. I chose this top because it links in nicely with my GCSE Art & Design topic, so I'm going to do a photo shoot and style the models in this amazing top. It's a really alternative crop top and grabs attention. It cost £4.00. It is really comfortable to wear as the fabric is soft and stretchy. I also love the cut of this crop top as it sits perfectly above the belly button and the high neck just adds to the style. Crop tops are my favourite style this season. 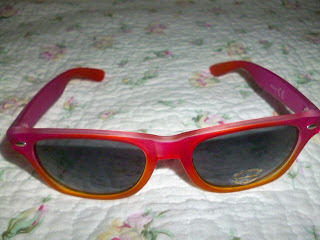 I love these sunglasses. They are so beautiful and I'm glad I picked them up. I've been looking for some sunglasses to take on my trip to Borneo and Malaysia for a while but I didn't want them to be too expensive or delicate. I found these and they remind me of sunsets and they're so gorgeous. These were a bargain at £1.00. This bag is one of my absolute favourites so far! I am in love with black leather, and although this bag is Pleather/ Imitation Leather, it is still beautiful. It is so spacious and can fit all the handbag essentials and more. I went to London and used this and was able to fit everything I needed in it. It is the perfect everyday bag! It also only cost £14.99 and is of good quality so I am very happy with this purchase. I only used foundation on top of a moisturiser or primer, as it feels nicer to apply and it sets your face up for a more even application of the foundation. I have previously used Rimmel London Fix & Perfect Pro Primer and found it a very good base for foundation but still quite thick. 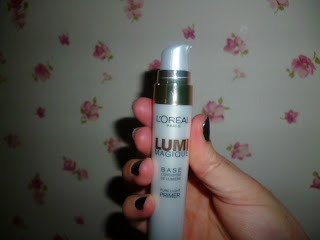 This time I went for L'Oreal Paris Lumi Magique Base Pure Light Primer. I absolutely loved this as it really does set your face up beautifully; it's amazing to apply and feels so soft on your face. You can use this as a Primer by using it all over or as a Highlighter by putting it on your cheek and brow bones. It costs £9.99 and is really worth the money! 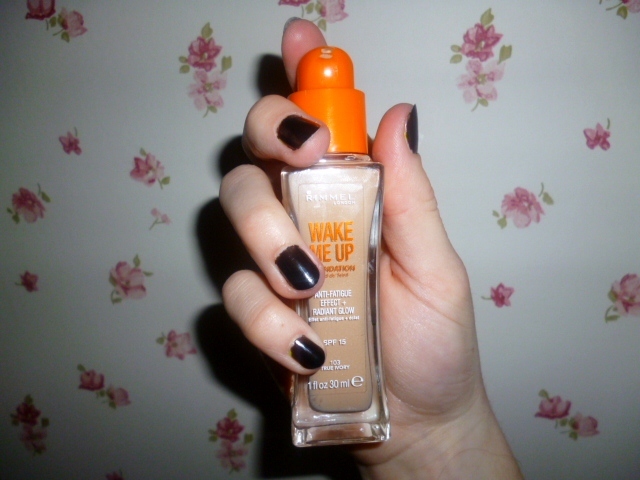 I chose this foundation because I've read many reviews on it and everyone seems to be raving about it. Now I am too! It gives you a really dewy look to your skin and gives you an instantly healthy looking glow. I also love it because it is so light on your skin, unlike other liquid foundations. Along with the L'Oreal Paris Primer, it gives you an instant lift and I love that. It is also very good coverage and you don't have to use much, depending on how many blemishes you have. Coming from someone who does not have amazing skin, it really gives your skin a lift without looking too heavily covered. I also found I didn't have to use powder which is better as it's less make up. It cost £8.99 and is also definitely worth the money. I normally use Maybelline Intense Black Gel Eyeliner but this time I opted for a pen style eyeliner as I thought it would be easier for rushed mornings. This is amazing. It's so so easy to apply and because the tip is so slim you can be really precise with the shape you want to create. I really like doing exaggerated flicks and with this pen it is so much easier! I would definitely recommend this to everyone as it is super easy to use and only costs £6.99! 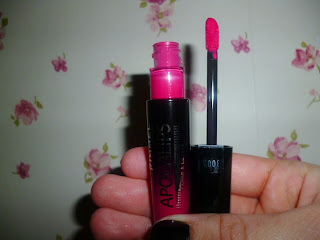 My final favourite is the new Rimmel London Apocolips Lip Lacquer. These are everywhere at the moment and now that I've tried it I can see why. They have the colour strength of a lipstick, shine like a gloss and also act like a balm. I loved this because it was so easy to apply with the capped brush and when it was on it was so smooth on your lips. It is also very long lasting and stayed on a whole day in London without coming off, even after eating! It cost £5.99 and there is a range of 8 colours. 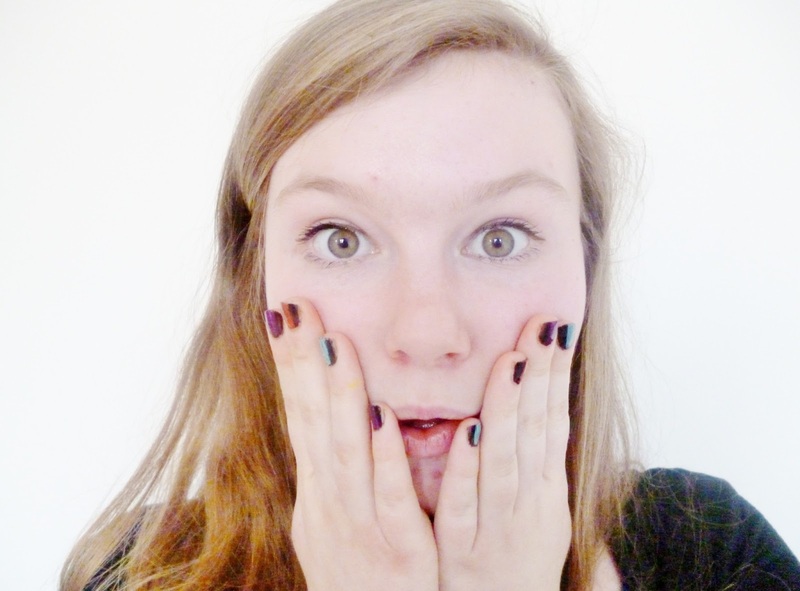 I hope you enjoyed my April 2013 favourites and it helps you choose some new purchases! 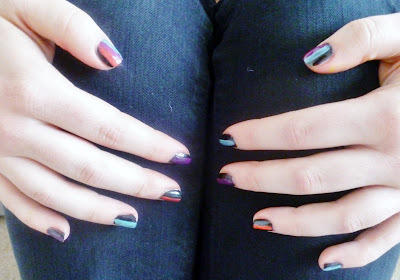 We dress the fashions through our clothes, lets bring them into our nails too! 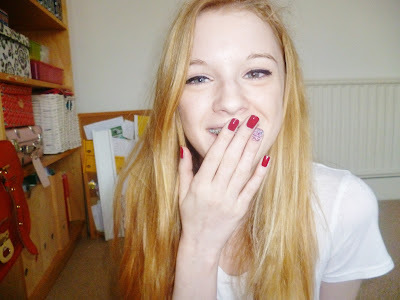 Today I decided to have a little nail painting session with a my friends. We had a play with sugar sweet nail beads, Colour Pop and Fluro. Here's how it all went! For these nails we used Barry M Nail Paint in Rasberry as the base coat. It was so easy to apply and has such a high shine once dry so they are really good value for money. For the beads we used MUA Nail Constillations in 'Gemini'. These were so fun to use as they look like real Hundreds and Thousands sweets, they are also long lasting and they look so gorgeous on the one nail, or all! For these nails we used Rimmel London 'I Love Lasting Finish' Black for the base coat. Again, this was easy to apply and dried fairly quickly. Black is also one of my nail essentials; to use as base or statement it is a must have! For the Colour Pop stripes we also used colours from the I Love Lasting Finish collection. I would recommend trying these out as they come in so many beautiful shades and are really long lasting! I absolutely love the Fluro trend at the moment; I like to pair it against a monochrome outfit to make them stand out, or mix them with a Sports Luxe style outfit. Although the second picture doesn't look like it, for these nails I used 'Clubworks' nail varnishes in Neon Yellow and Neon Pink. I hadn't heard of this brand and cannot find them on the internet but I got it as a gift a while ago so it may be a discontinued line. I did however, find some very similar colours from American Apparel. 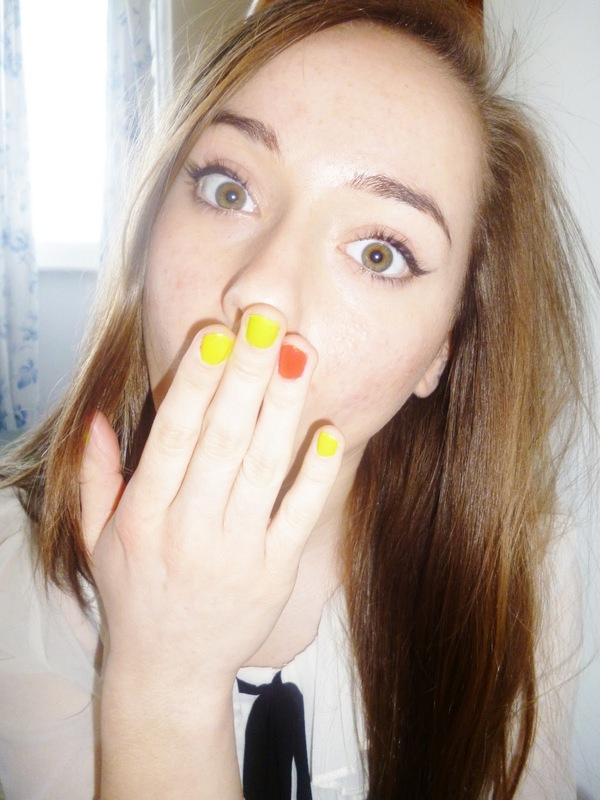 They are called the 'Neon Nail Lacquer'. They come in loads of different colours and I am planning to buy some soon so that I can try them out! I hope you enjoyed looking at the nail trends on our nails and embrace the trends on your nails too! Being a 'Celebrity' is a strange concept. They are normally people who have used their talent to become well known or 'famous'. I don't see anything wrong with being one but the whole notion of the celebrity life is an interesting one. Celebrities are essentially normal, ordinary people who other people idolize, admire and look up to. Thinking the tweet would get no notice, I went back to my revision. When I checked my Twitter, no more than 10 minutes later, my Interactions went mad! 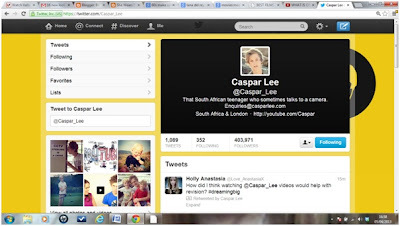 I had a lot of retweets; one of which, I found out on further inspection, was Caspar Lee himself. Being a huge fan of Caspar and his videos, I went a bit crazy at the fact he retweeted me to his 404,602 followers...and now he is partially aware of my existence. I started to become, embarrassingly, a bit fan-girly. Jumping, screaming and smiling happened for about 20 minutes. That is along with calling up multiple people and leaving them messages that probably came out as many screams and the occasional shout of 'Caspar Lee', 'Twitter' and 'retweet'. After the initial shock, I started to question why I felt so much happier after the whole event. Was it because I have, as of now, 47 retweets and 110 favourites on my tweet? Was it because I gained a lot more followers? No, I felt happier because Caspar, who I have found entertaining in times of boredom, unhappiness and procrastination, has shared something I said and taken note of me. However, if I had tweeted 'How did I think re-reading @hollytaylor36 's texts would help me with revision' and she retweeted that, I would have laughed and carried on with my day. What is it about fame, popularity and recognition that changes the way you perceive someone? I haven't worked it out yet. In a few months I am going to Borneo and Malaysia for about 4 weeks in the summer. I'm going with people from my school and a company called World Challenge. It's going to be the most exciting, hellish, crazy experience of my life so far; I'm excited yet extremely fearful of it at the same time. I have gotten way past the state of not wanting to go and now I've realised that I have to. 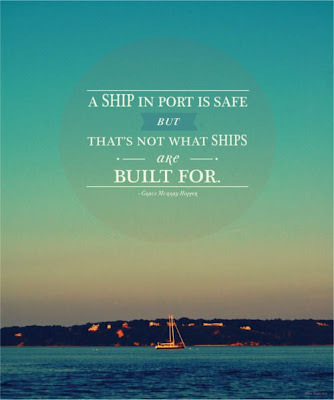 As the summer is getting nearer, it's gotten me thinking about Comfort Zone VS Adventure. I've been contemplating whether it's better to feel safe and know your path in life, or to have adventure and live a bit closer to wild side. After much contemplating and searching, I found a few photos that have persuaded me to look on the positive side of my upcoming trip. 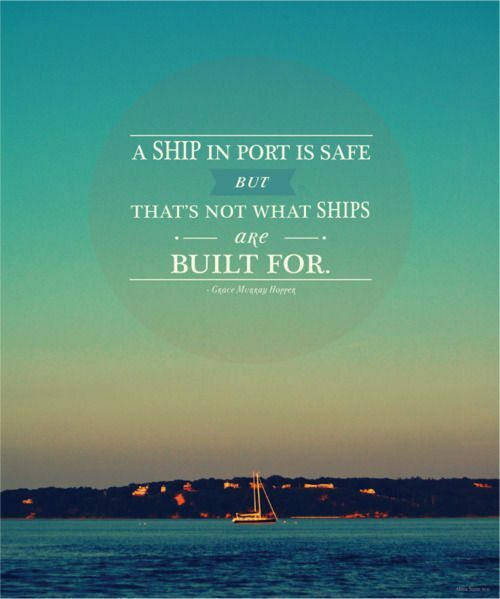 'A Ship in port is safe, but that's not what ships are made for'. I think that this is a really important message, and its also one that I have really taken into consideration whilst thinking about my trip. If you know me, you know that I am incredibly materialistic! I find security in family and friends, as do most. Yet I still like to make myself feel okay by a bit of retail therapy and make up. So going away without all of this for 4 weeks I'll be a bit like a fish out of water! What is scaring me most about this trip is that during this summer everything will change. For most of it, I won't be there to see it happening. However, I think this trip is something I have to do. The ship can't stay in the port forever, if it did, it would have reached it's full potential. I need to branch out and explore the world. I need to leave the security of my cozy home and try out new things. I'll be blogging in the run up to this trip and hopefully you'll get more of a feel for how big of a deal this trip is for me. However, I want to leave you with this picture as it sums up how I think we should look at opportunities like this. Because, in my view, whatever it is you're stalling to get on with, you should do it.